Just a simple look today, re-using yesterday's pinkie and index finger with the Colour Clash glitter gradient. I picked up one of the new Barry M Silk Collection polishes yesterday, and after testing it will definitely be going back for more! 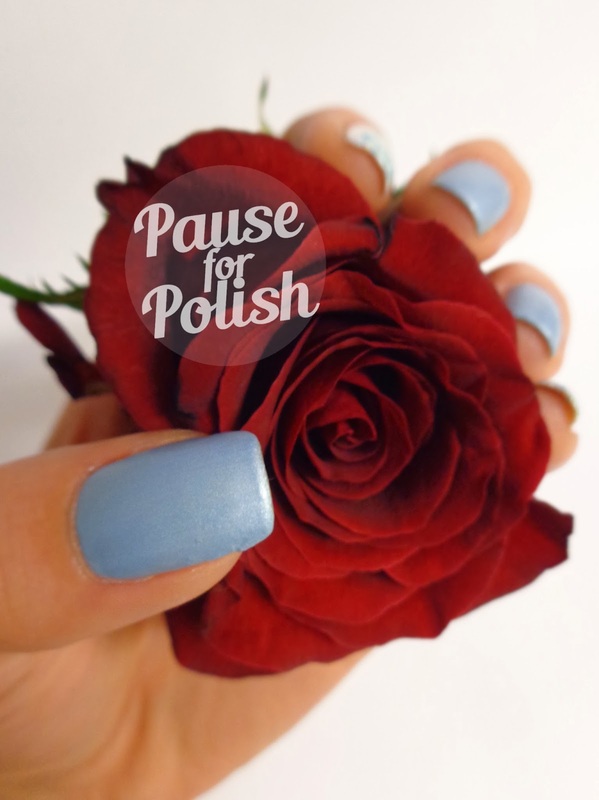 I bought the light blue polish called Mist. Apparently i've got a thing for blues because i seem to have double the amount than any other colour in my collection. Anyway, i digress. Well that's enough photo spam for today! 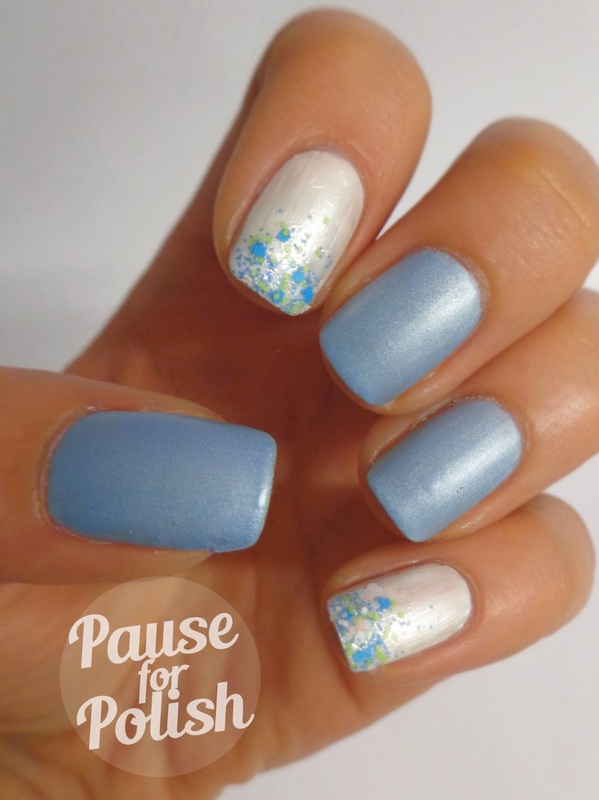 What do you think.. Do you prefer today's toned down look or yesterdays glitter frenzy manicure? I think this look was a little more me. Plus I loved running my finger over the silky texture, it's so soft!